World War I was a deadly conflict as shown by the 38 million military and civil casualties it caused. The large number of casualties was caused, in part, by the development and use of new weaponry that took place during the war. The following weapons either made their debut in World War I or had a dramatic effect on the major battles of the war: machine gun, tank, poisonous gas, airplanes and submarines. As with other new weapons poisonous gas was used as a method to end the stalemate of trench warfare. It was first used by the Germans against Allied soldiers in April of 1915 during the Second Battle of Ypres and immediately had a devastating effect on French soldiers in the trenches. 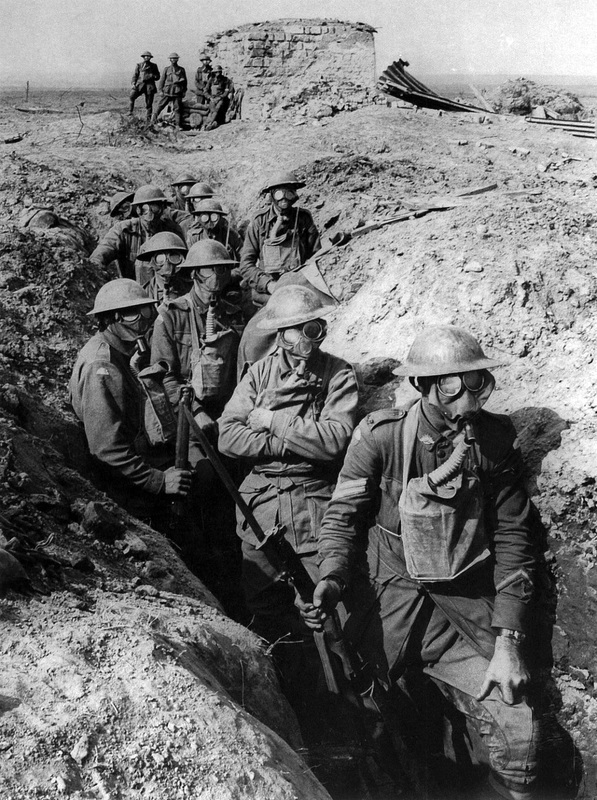 The first type of poisonous gas used in World War I was chlorine gas and it caused soldiers to choke and suffocate as their lungs became inflamed from the gas. The effects of chlorine gas were quick and deadly. As it was the first use, soldiers were unprepared for its effects and did not have gas masks to protect themselves. Some soldiers in World War I were known to urinate on rags and cover their faces with the rags in an attempt to prevent the gas from entering their airway. While the German use of poisonous gas was criticized heavily in the Allied nations, it would eventually become a weapon used by both sides in World War I. As well, as the war progressed, soldiers were supplied with proper gas masks or gas hoods to help prevent the devastating effects of the gas. After the initial uses of chlorine gas, a new type of poisonous gas saw use by both sides in the battlefields of World War I. It was called phosgene gas and it was more deadly than chlorine gas. It caused soldiers to cough less at first which allowed the gas to be inhaled more readily, thus making it even more poisonous to men in the trenches. As well, unlike chlorine gas, phosgene was not visible, making it more likely that soldiers inhaled it before securing their gas masks. The next poisonous gas that saw use in World War I was mustard gas which the German forces used against Russian soldiers in 1917. Unlike chlorine and phosgene, gas masks were not effective against mustard gas since it affected the surface of the skin. Soldiers who were exposed to mustard gas would experience burning of the skin, blisters, swelling of the eyes and choking. With that said, while mustard gas caused the injuries described above it rarely led to death. In the end, poisonous gas was a deadly weapon that had an initial impact on the nature of war in World War I. However, as the war continued the poisonous gases lost their overall impact due to the introduction of the gas mask in 1916.